If you have a partner at home, that has no IT skills, i think you must have experienced the 'wifi is down' telephone call. Ok, pull the far most left one. -….ehm….. Just checking now….. Heeey!!! It's working again, thanks honey! Have to back to work honey! See you later! Bye! 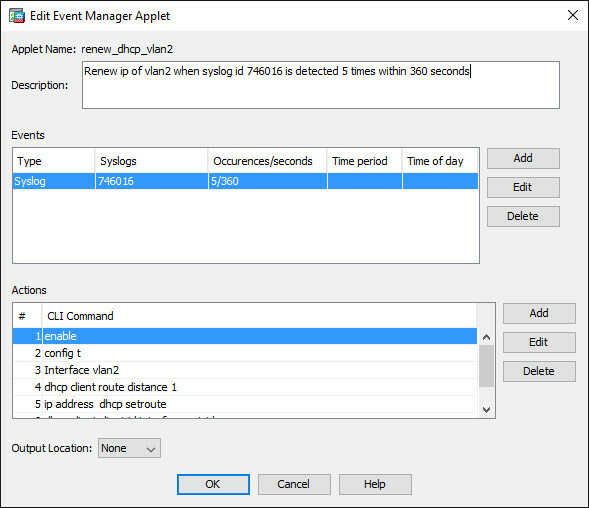 So where does the Cisco EEM (Embedded Event Manager) can help you with? Wel my current setup at home consists of a ISP Modem in Bridge mode, connecting to my Cisco ASA firewall. 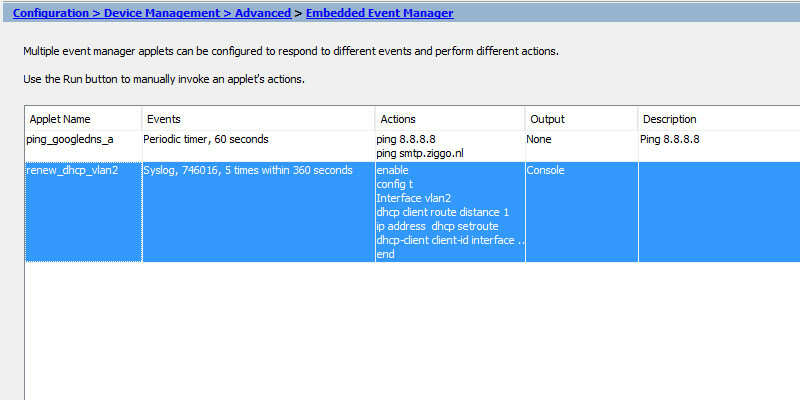 I made two applets in the EEM; the first applet is to check if DNS resolving works for a certain domain and the second applet is triggered when DNS resolving fails. When DNS resolving fails; a entry is logged with a certain SYSlog ID; and that second applet is triggered by that Syslog ID. You first must make sure that your ASA can resolve Fully Qualified Domain Names correctly; test it by pinging a host (in my case: smtp.ziggo.nl. 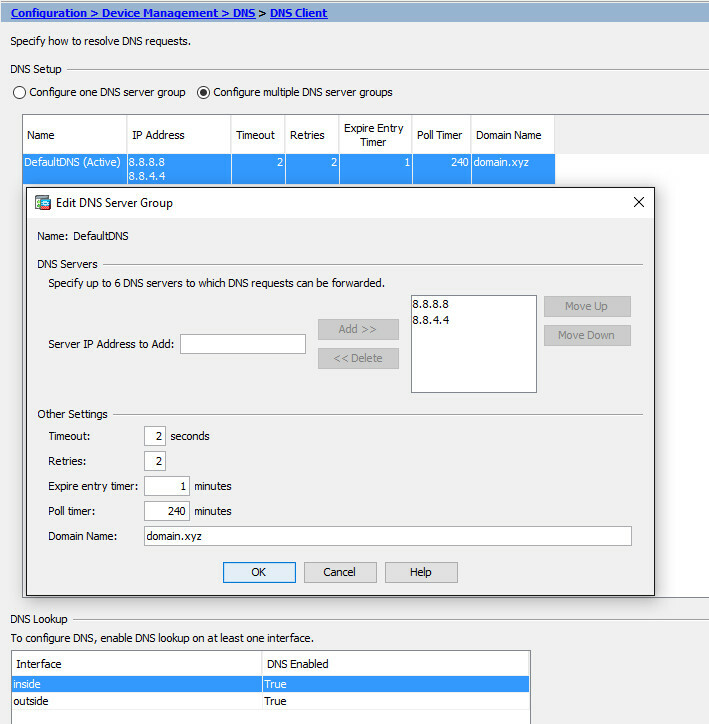 You should receive a reply; if not you can configure your DNS lookup on your ASA as followed in the illustration below. 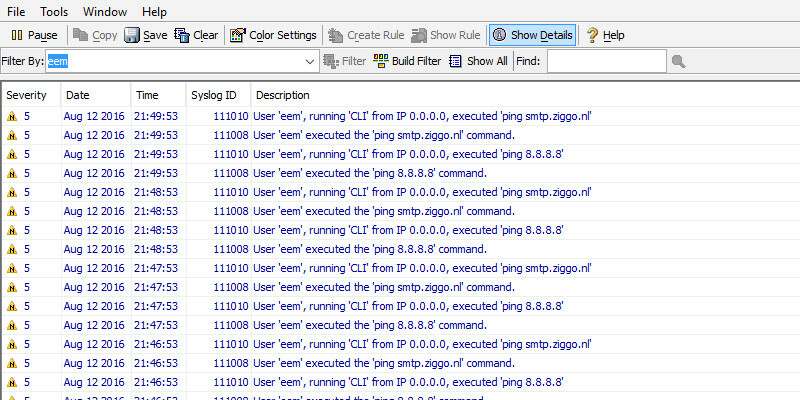 Go to Configruation > Device Management > DNS > DNS Client. After adding the 2 applets; you can check its working in the monitorig log by filtering on the description for 'eem'. 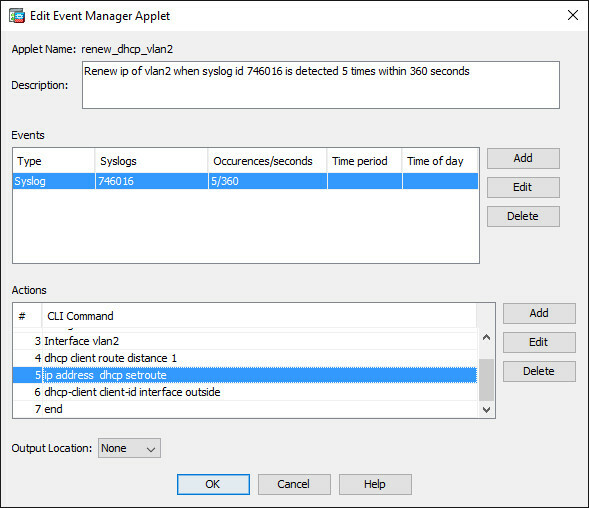 action 1 cli command "ping 8.8.8.8"
action 2 cli command "ping smtp.ziggo.nl"
action 2 cli command "config t"
action 3 cli command "Interface vlan2"
action 4 cli command "dhcp client route distance 1"
action 5 cli command "ip address  dhcp setroute"
action 6 cli command "dhcp-client client-id interface outside"
action 7 cli command "end"